Hey! Thanks for stopping in. This is the home base for the Outside Found Bus Project – a crazy endeavor that we are currently smack in the middle of. Long and short of it, in 2014 we decided it would be a good idea to buy a used school bus, rip out the seats, and turn it into an RV. 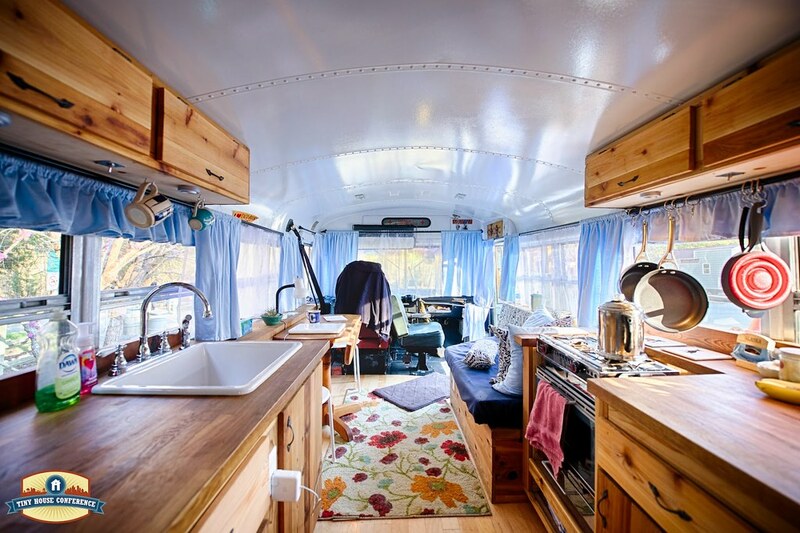 It took us about $30k and 5 months of hard labor to transform the bus from a metal shell to a tiny house, but we did it! We outfitted it with everything we’ll need on the road: a full kitchen with an RV fridge, gas stove, tiny oven, and hot and cold running water; a full bathroom with a composting toilet and shower; and areas for lounging, working, sleeping, and storing our outdoor gear. We’re almost 100% off the grid with solar electricity, propane, and a 65 gallon freshwater tank. Follow the links below to see our bus inspiration, follow along on our renovation journey, and check out the finished product! Before starting on our bus we combed the internet for the best skoolies we could find. From start to finish, here are our notes! Read up on what worked, what didn’t, and how we did it.